What are we doing up to now? 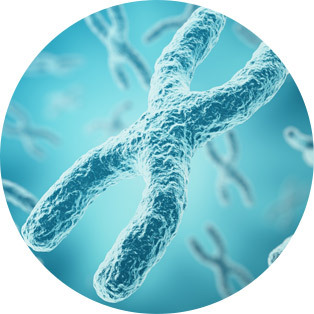 The most common chromosomal abnormality of fetuses is trisomy 21 of the Down Syndrome and the least common are trisomy 18 and trisomy 13 and are directly related to the age of the mother. Their diagnosis takes place by performing a combinatory prenatal test that includes the ultrasound scan test of the fetus (nuchal translucency) biochemical markers of the mother, so that, depending on the possibility that will occur, the pregnant women with increased risk are selected and subsequently undergo an invasive prenatal test method. With such a practice 93% of trisomies 21 and 95% of trisomies 18,13 are discovered with an error probability (false positive results) of 1.3%. Which is the new method? 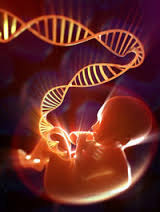 However, the recent discovery that segments of the fetus’ DNA of placental origins circulate freely in sufficient quantities (after 10 weeks of pregnancy) in the maternal blood, has offered the possibility to determine, through techniques of mass or selective determination of the DNA sequence (MPSS, CSS, SNP), if there are more or less than the normal copies of chromosomes. 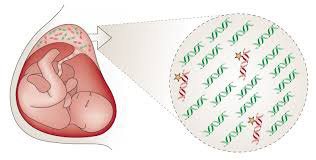 This method is called non-invasive prenatal test of cell-free DNA (cfDNA test or NIPT) and according to a recent study its reliability is 99.5 % regarding trisomy 21 and 96% and 91% for trisomies 18 and 13 respectively, with an error probability of 0.08% for trisomy 21 and 0.26% regarding the other trisomies. In twin pregnancies the reliability regarding trisomy 21 is 93.7% with an error probability of 0.23%. 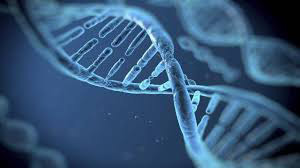 The cfDNA test is not, of course, a diagnostic test, but a prognostic one, so that the women with increased risk finally undergo an invasive test in order to confirm the diagnosis. From the techniques that are used, MPSS has the lowest failure rate and the required time in order to get its result is between 5-10 days. 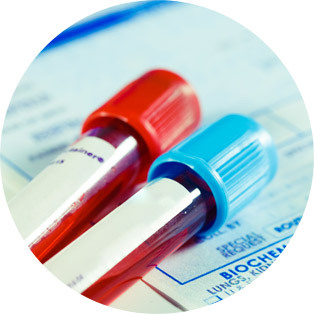 There are many medical companies that offer the test, of which the laboratories are mainly located in the USA. In Europe the only laboratory, which has important European certifications that guarantee the reliability of the result, is based in Switzerland. By comparing the two methods, it is obvious that NIPT is superior in terms of reliability than the classic ultrasound scan test, however, its cost and the slight possibility that there is no final result (1-5%), do not allow for the time being its application to all women. The best strategy that is recommended is to perform initially the classic ultrasound scan test in combination with biochemical markers, which gives us important additional information about the anatomy of the fetus and the determination of the possibility that pre-eclampsia and growth retardation occur. In the cases where the risk is high (0.5% of the cases), women must undergo invasive prenatal test, when the risk is medium (20% of the cases) the non-invasive prenatal test (NIPT) must be performed and when it is low (80% of the cases) the pregnant woman must be assured that the possibility is minimal. How many of them will finally undergo amniocentesis? 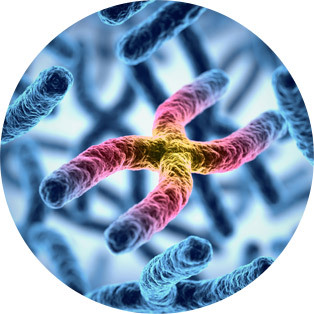 With such a policy eventually 98% of trisomies are discovered and only 0.8% of the pregnant women undergo invasive prenatal test, compared to 2.6% of them when only the ultrasound scan test is performed and 1.4% when only the NIPT is performed. It is obvious that, in this way, the number of women that finally undergo amniocentesis is dramatically decreased (over 50%), a procedure which, as it is known, has a 1% possibility of miscarriage. If the test is positive can I be sure? As it has been mentioned before, the test is prognostic and thus there is a slight chance that the cells that come from the placenta and are detected by the test have some trisomy, while the cells of the fetus are normal. For this reason, after a positive test result, a confirmation through an invasive prenatal test (amniocentesis) is always required. What happens in multiple pregnancies? In monochorionic pregnancies where the genetic material of the fetuses is the same, the method can be applied, however, for the time being, in dichorionic pregnancies such a method is not reliable. Is there a risk that there is no result? The risk exists particularly in obese women. 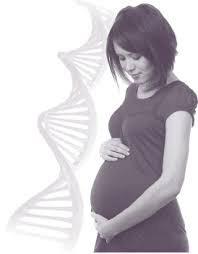 For this reason, either the test is repeated, or an invasive prenatal test is performed. What are the news regarding non-invasive prenatal test (new)?